Our family believes celebrating author and illustrator birthdays is a SUPER fun way to read together. Over five years ago, I started collecting the birthdays of our favorite authors and illustrators. In the beginning, I found most of the birthdays we celebrated on author-birthday-calendars provided by publishers. Now, I learn most of the birthdays directly from the authors and illustrators themselves by asking them at book signings. Occasionally, I learn a birthday in a different way; an author emails us, I find it on an author's website, or in a very unique case; an author I follow on Facebook, congratulates another author on their birthday about their new book and I write it down, wait almost a year, and then contact the author just to verify that it is indeed their birthday. This is exactly how I learned Deb Pilutti's birthday. Last week, I saw Deb Pilutti's birthday on my calendar (exactly where I wrote it down after author-illustrator Laurie Keller shared it on her Facebook page). Also last week, I found her latest book at our library. However, I wasn't completely comfortable celebrating Deb's birthday without verifying it first. Thankfully, Deb responded SUPER fast and confirmed her birthday! I hope after you read this blog post you will FLY right out and grab a copy of her book! 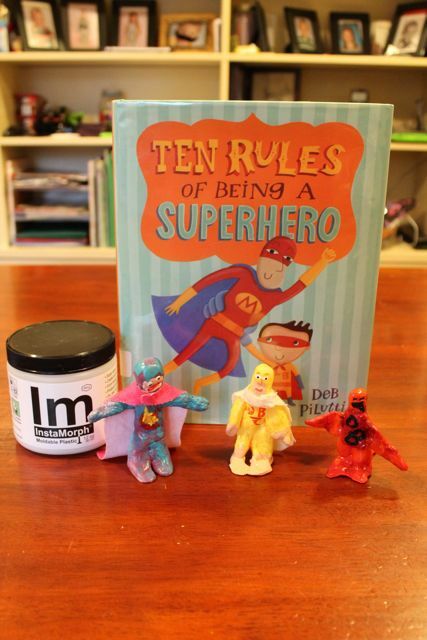 Deb Pilutti has created three books for children; The City Kid and the Suburb Kid, illustrated by Linda Bleck, The Twelve Days of Christmas in Michigan, written by Susan Collins Toms, and Ten Rules of Being a Superhero, which she wrote and illustrated. 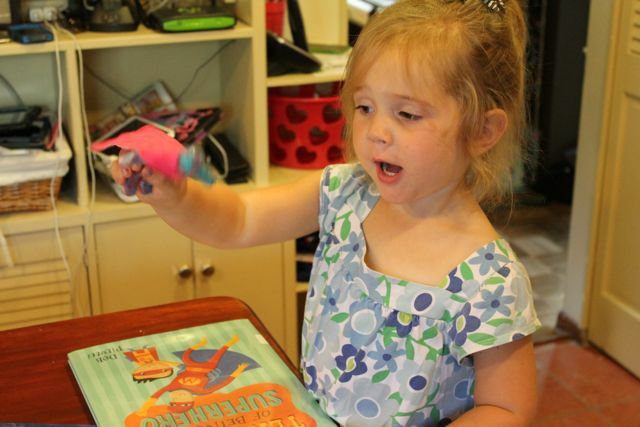 Her fourth book, Bear and Squirrel are Friends...Yes, Really! will be available next month, September 15, 2015! When Deb was younger she "loved reading more than anything" (Vicki Lorencen's Blog), but also loved to watch cartoons. Her father was a storyteller and a writer and her mother was an artist which Deb speculates "maybe filtered in" to her becoming a children's picture book creator. Or maybe it was because she had the opportunity to take a design workshop from Leo Lionni when she was a junior in college. 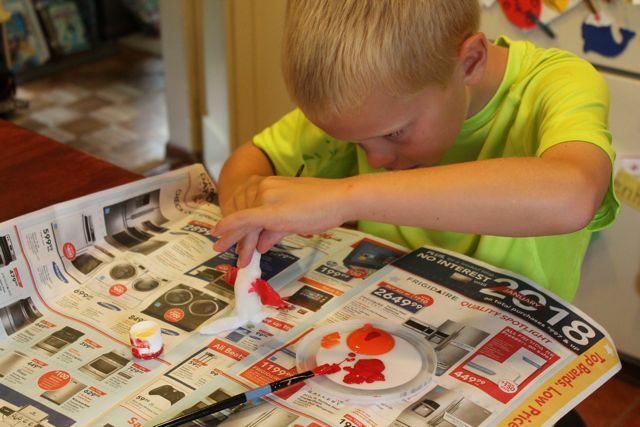 Deb talked about this experience on the Let's Get Busy Podcast, "One of the things I took away from the week of studying with him was to have a child-like sense of play. Look at things like a child. Be playful in your work even when it is something serious." Deb started her career as a graphic designer where she has designed everything from websites to logos to amusement park environments to toys. After many years of working as a freelance graphic designer she began to think about making children's books. She sent out postcards and samples of her work to publishers and was later contacted by an editor with a book idea. This led to her writing her first book, The City Kid and the Suburb Kid. 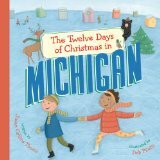 On the contrary, her second book, The Twelve Days of Christmas in Michigan, she didn't write but illustrated it. 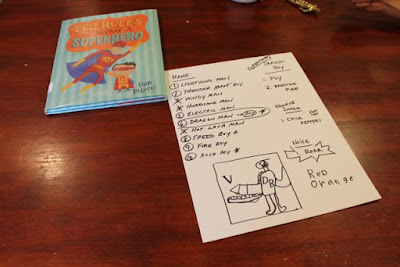 Then, with her third book, Ten Rules of Being a Superhero she "had the whole vision," and wrote and illustrated the book. (Let's Get Busy Podcast). Ten Rules of Being a Superhero is about Captain Magma, an action figure, and an imaginative young boy, aka Lava Boy. Captain Magma has three superpowers but he wishes he could fly. 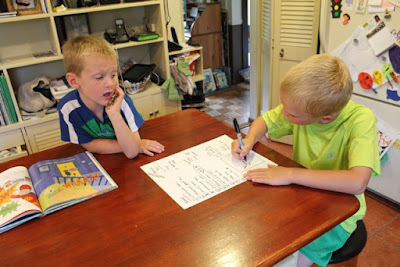 Lava Boy knows so much about being a superhero that he shares his "ten rules of being a superhero" as he plays with Captain Magma. The book starts with Lava Boy playing with Captain Magma in his room. This is where we learn Rule #1, "A superhero must ALWAYS respond to a call for help even if the odds are against him." The illustrations show two creature-like toys chasing and tying up two human-like toys. As the day progresses, Lava Boy shares more rules at clean up time, morning snack time, sibling nap time, and more. Our favorite rule was "Rule #6, "A superhero needs a tasty snack to be in top form." Captain Magma is pictured burping after eating a cupcake as Lava Boy is running around and jumping off rocks after getting energy from peanut butter and celery. By the end of the book, it is clear that Lava Boy and Captain Magma are the best of friends and would do anything for each including helping out after someone's first time flying doesn't go so well. 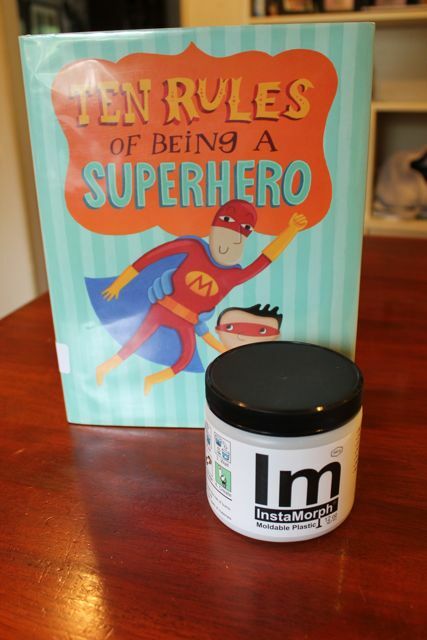 I had an idea for how to bring Ten Rules of Being a Superhero to life for my children after reading it the first time. 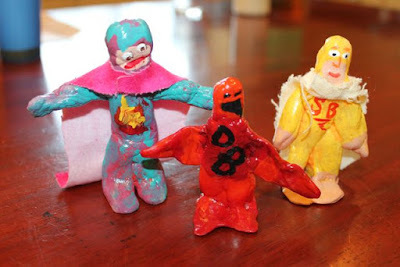 I thought it would fun to make our own action figures. My son received a jar of InstaMorph for his birthday in June. It was still unopened. Don't know what InstaMorph is? I really didn't know either, but it ended up being a SUPER awesome way to celebrate Deb Pilutti's birthday. I had no idea how much InstaMorph we would need to make an action figure. I was concerned we wouldn't have enough to each make our own action figure. So, I went into the project with the idea we would make one action figure together as a family. We loved the superhero names Captain Magma and Lava Boy. We came up with a list of TEN possibilities for our superhero. The finalists were; Lightning Man, Thunder Boy, Electric Man, Dragon Boy, Speed Boy, Fire Boy, and Rock Boy. Chosen from the finalists was Dragon Boy. My children decided that his superpowers would be that he could fly and breathe fire. His favorite snack is not cupcakes like Captain Magma but CHILE PEPPERS! We had a 12 oz. 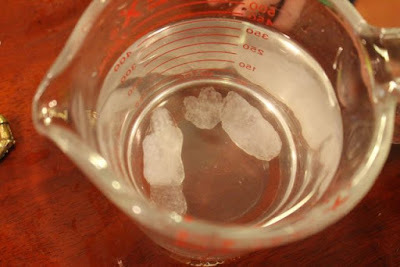 container of InstaMorph. 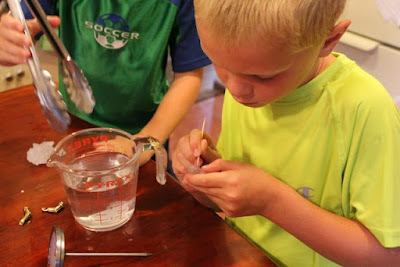 When we opened it we saw that it was filled with little white beads of plastic. 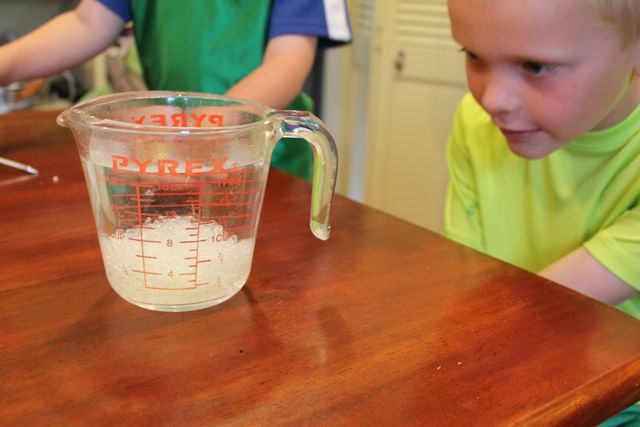 The directions said to heat water to 140 degrees before adding the plastic beads. We added the beads and waited two minutes. The beads turned from white to clear. 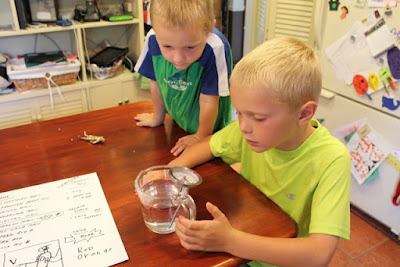 We removed the beads from the water. The plastic was quite warm, but not burn-your-skin warm. 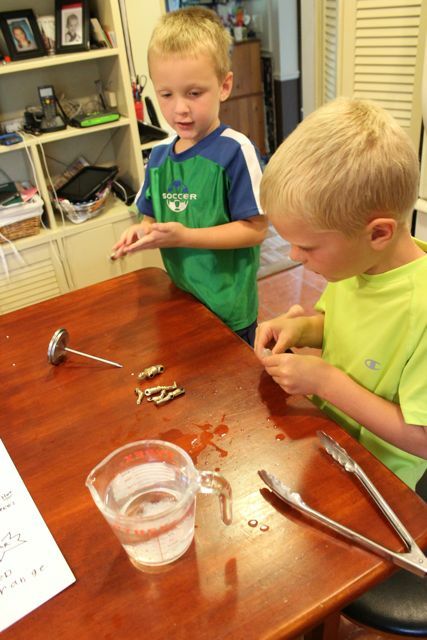 My boys were immediately able to start molding. 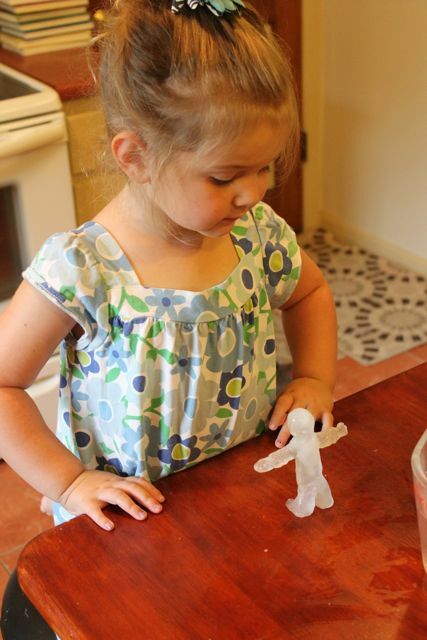 Our initial thought was that we make moveable arms and legs and carve eyes and faces. 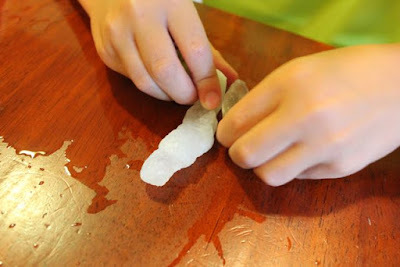 I am sure this possible if you were to make molds, but we didn't have the time or the patience for this. 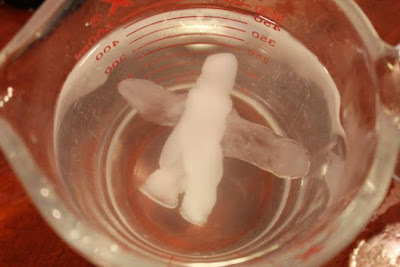 So, we put our InstaMorph back into 140 degree water. This was the best thing about this stuff. We could fix mistakes and reform just by putting it back into the hot water for a minute. 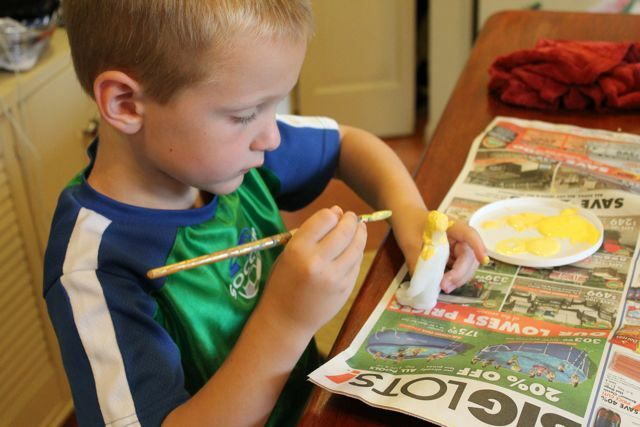 I told my boys not worry about moveable parts and to just make their action figure's body, head, legs, and arms (or in the case of Dragon Boy -- wings!). I told my children not to worry about faces because we could paint those on later. Dragon Boy was starting to take shape. We put him back in the water to make sure his wings were attached to his back. It did not take long for our action figures to cool. Once they changed from clear to white we started painting. 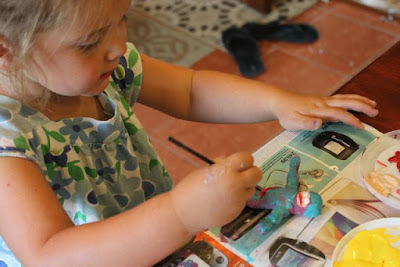 We used acrylic paints. They painted a base coat and let it dry before adding details with other colors of paint. 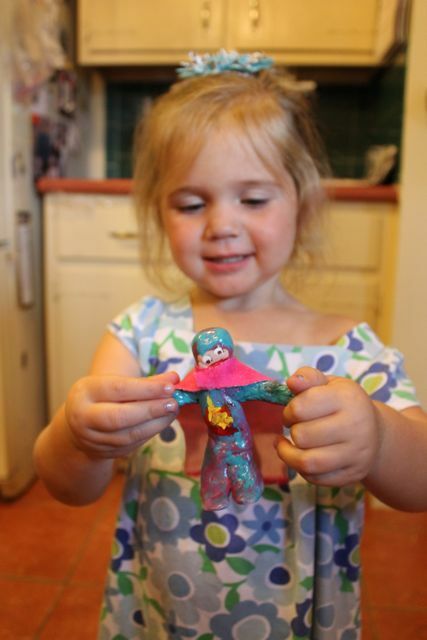 My daughter painted her own action figure which she named Fire Girl. I made little capes out of scraps of fabric. I also sprayed the action figures with clear enamel to make them shine like a new action figure. Introducing -- Fire Girl, Dragon Boy, and Speed Boy! My youngest son was afraid to paint the face on his yellow action figure so I did my best for him. I was inspired by Captain Magma, but a friend said he looks more like Homer Simpson. Regardless, I know these superheroes will have no problem with Rule #8 "A superhero is always brave." Do you follow Happy Birthday Author on Pinterest? Please pin this picture! Deb, we hope you have a SUPER birthday!! Thank you again for responding so quickly to our email. Thank you for making such a fun book! We can't wait for the next one! 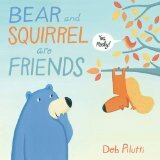 You won't have to wait long for Deb's next book, Bear and Squirrel are Friends...Yes, Really!. But from now until September 15th, you can watch the trailer, a couple hundred times :) There is an amazing pre-order price of under $9 right now for the book! Pre-order it now! !